Fouad Baladi has been charged with two counts of insurance fraud and single counts of theft and attempted theft. In August, Baladi’s wife filed a claim with Safe Auto Insurance and received $4,139.72 for damage to a 2003 Chevrolet Suburban from a hit-and-run. In January, Baladi purchased a GEICO policy and then seven days later filed a claim for the same damage to the Suburban. He received $4,307.82 from GEICO. In February, Baladi waited four days after purchasing a Nationwide Insurance policy before he filed the same claim as before. Nationwide Insurance gave him $6,031. Also in February, Baladi bought a policy with Infinity Insurance and filed a claim for the Suburban’s hit-and-run damage, but Infinity did not pay the claim. 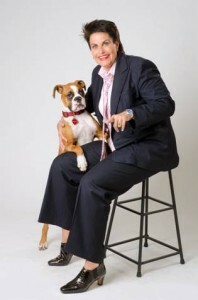 Fraud expert, Linda Webb, aka The Fraud Dog says that fraudster’s greed will often times cause moments of stupidity. In this case the fraudster reported the same crash multiple different times. You would think that common sense would tell you that this criminal would be caught after reporting it only twice, but in these desperate times people do stupid things hoping that no one will catch it. In today’s world of data bases, internet searches, and trained investigative professionals, you can bet the fraud investigators will be checking all their resources to stop the fraudster in their tracks. What some fraudsters got away with in the past, are not possible in today’s savvy world of insurance investigators who are watching out for these greedy fraudsters. I commend those other fraud investigators who dedicate their lives to ferreting out fraud, says Linda Webb, the Fraud Dog.